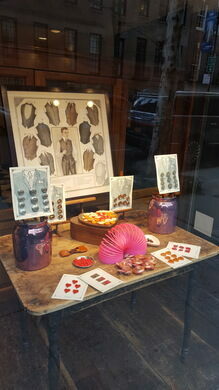 On a tree-lined street in New York City is a tiny shop bursting with buttons. 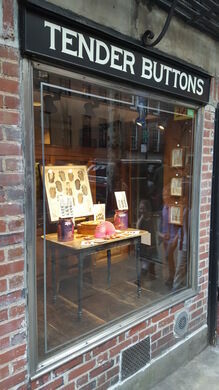 Its walls are lined with boxes of buttons from around the world, making it feel more like a carefully curated museum than a store. Reverend Jen's unique museum/living room showcases her troll collection. 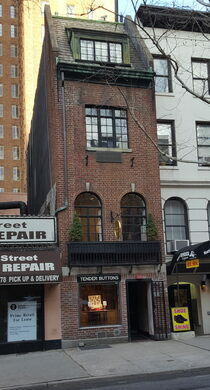 Named for a Gertrude Stein book of poetry, Tender Buttons opened in 1964 and has been going strong ever since. 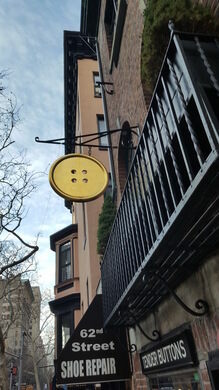 Diana Epstein, its owner, originally purchased a button store farther uptown to maintain a small button business. As business grew and she and her partner became more knowledgeable about the button business, they began having items specifically designed for their store. Often folks would wander in, hoping to find buttons that matched their clothing or swap out old ones to give their outfits a new look. Now, a vast collection of buttons, sorted by type and color, fills the small store. You’ll find vintage accessories, antique details, and specially made items guaranteed to add a unique flair to your wardrobe. It's close to 59th and Lexington subway station and 63rd and Lexington.